Right, that's it. Enough already. I'm so tired of hearing the same contention being trotted out every time bicycles are mentioned. I refer, of course, to the ongoing clamour that cyclists need to be registered. Show me a news report to do with bicycles, and I'll show you someone on social media or a comments thread carrying on about bicycle registration as if it's the most urgent thing in road safety. 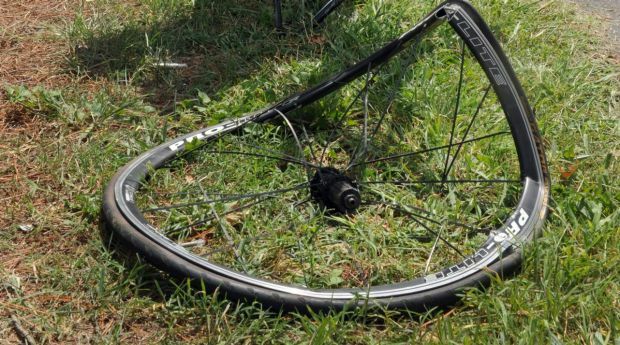 A bike-riding man killed in a "dooring" incident in Melbourne? "Cyclists should be registered." A cycling young woman crushed by a truck in Brisbane's CBD? "They should pay rego." This week, news about a bill to legislate a safe minimum passing distance when cars overtake bikes drew comments such as "I'll give them space when they pay to be on the roads". Charming. The problem with such misguided contentions is that they become a form of groupthink. If people hear such things repeatedly, it becomes acceptable to them. It can also breed animosity - which can spill onto our roads, creating dangerous hostility and intolerance. In truth, the angry voices are in the minority. Most Australians accept and even support cycling - after all, more bicycles are sold than cars every year. Even among people who don't ride for transport, a survey showed 60 per cent would like to do so – but many say they are too scared. But the idea of registration, even when well-intentioned, is misguided. I wrote three years ago about why cyclists should never pay rego. Since then, even more compelling evidence has come to hand that it's a bad idea, such as this government report. 1.There is no official support for the registering of bicycles. State governments have said the measure would be unnecessary and a waste of money. This is based on conclusions reached by experts who have studied the issue in depth. 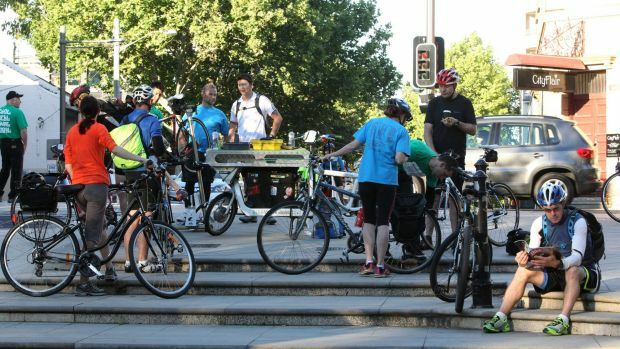 Motoring organisations such as the RACV, RACQ and the NRMA also don't support bicycle rego. 2. Car registration doesn't "pay for the roads". Roads are funded through general taxation – we all pay for them. And urban/suburban roads, where you find most cyclists, are maintained by councils. If a local cyclist is riding in a suburb, their rates or rent payments likely helped fund the road they're on. One study found drivers at fault four out of five times in serious collisions with cyclists. 4. Registration wouldn't raise much, if any, money. Administration costs would guzzle fees. A NSW government report says the annual cost for a driver's licence is completely swallowed up by what it costs to issue a skerrick of plastic with your picture on it. And if the costs blew out, the funds would come out of everyone's pockets - not just bike riders. 5. Cyclists pay in other ways. Bike riding is good for the economy - it eases congestion, reduces demand on public transport, doesn't cause pollution, doesn't use fossil fuels, and keeps people healthy – physically and mentally. A federal government report showed that a person who travels to work by bicycle saves the economy $21 for every round trip. That's almost $5000 a year for a committed commuter! Don't forget to thank them. 6. It would hit the poor. For all the talk of "Lycra warriors" with $5000 bicycles, a significant percentage of people who ride bikes have low incomes. Charging them to register a bike – or in the case of families, multiple bikes – would be an added impost on those who can least afford it. Healthy initiatives like Ride2Work Day would face extra hurdles. 7. Registration would discourage people from cycling: Sure, keen cyclists would continue, but would all casual riders be bothered to sign up? If participation in initiatives such as Ride2Work Day, charity rides, or rolling to school with the kids, involved registering and paying a fee, many people would likely miss out on discovering the advantages of bike riding. The more cyclists there are, the safer cycling becomes. 9. Registering children's bikes would be doubly ridiculous. "No," people usually reply, "only adults would have to ride registered bikes." So, a simple mechanical transport device suddenly becomes a burning societal problem when the person astride it turns 17 or 18? Sure, kids are small, but many teenage boys are heftier than the average adult woman. Could a mum not borrow her son's bike? Are we going to do rego based on bodyweight instead? 10. Mounting a visible plate would be a challenge. Modern bicycles come in myriad shapes and sizes. Most bikes don't have rear racks, or even the mounting points to fit one. A large, transverse-mounted plate would stick out, possibly injuring the rider and pedestrians, and damaging cars. And think of the costs involved in designing, manufacturing and distributing this range of contraptions. 11. A vest system would be easily rortable. Some people suggest cyclists be made to wear a singlet with a number on the back. (And why stop at cyclists? Think of jay-walking pedestrians, or thugs who assault people at random – surely we should all be identifiable, 24/7, for civil safety?) Once again, there would be cost and sizing issues and they would be easily lost, loaned or stolen. Imagine renting a holiday home, then not being able to ride the bike in the shed to the beach, because you left your "registration singlet" at home. Come on, Australia! No rego, no problem: police are still capable of performing their duties. 12. 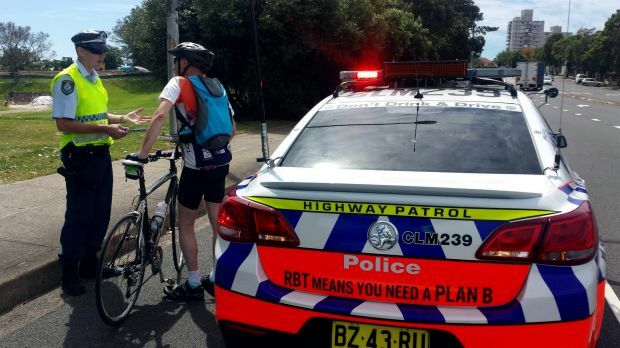 Police don't need rego plates to book cyclists. There are regular media reports of crackdowns on bicycle riders, with hundreds fined. How do the police nab the cyclists? The same way they catch motorists – by stopping them and giving them a ticket. 13. We shouldn't have to buy our safety. Some people suggest that registration will "legitimise" cyclists. In fact, cyclists always have been legitimate road users. I've heard people say, "I'll respect cyclists when they pay to use the road" – but seriously, anyone who would wilfully endanger someone's life simply because they haven't paid some (currently non-existent) fee is obviously lacking in logic or common humanity. 14. Registration is not a key way to save lives. For all the talk of "law-breaking, dangerous cyclists", studies have shown that in serious or fatal collisions between cars and bicycles, four out of five times, the motorist is at fault. How's a plate going to help you when you're hit from behind by a distracted or unskilled driver? 15. Police can't easily take action on eyewitness accounts. The fantasy about cycling registration is that "if I saw a cyclist breaking the law, I could report them". Try doing that with a motor vehicle, and you'll likely find the police will do nothing. 16. The red-light issue is overblown. Red light cameras exist because cars blast through red signals at high speed, endangering other road users. Cyclists who break the law tend to act like pedestrians – they stop or slow, they check the way is clear, they roll through. Very few intersections have cameras anyway – and they probably wouldn't be the ones frequented by cyclists. Calls to register bicycles in the middle of last century were wisely rejected. 17. Bikes have existed for more than a century. Why is registration an issue when bikes have been around for longer than cars? 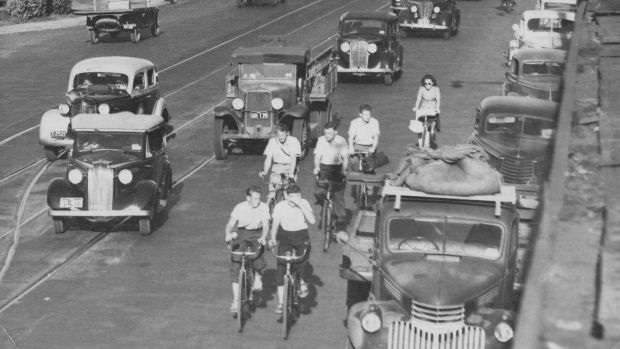 Fun fact: bicycle registration was debated in Australia in the 1930s, and knocked back. Maybe people need to just learn to accommodate them again. 18. No nation in the world has bike registration. Not with number plates and significant fees. Nevertheless, other nations do so much better than we do when it comes to cycling, which suggests the real problem lies with our road culture. Increasing numbers of cyclists on our roads will bring added safety and acceptance. We should all be working towards that goal. Do you have any further reasons why bicycle registration is a bad idea?